Our next event will be on the Curragh plains in Co Kildare. Start from Sunnyhill. Exit 12 from the M7 and head for Kilcullen. Signs from the Ballymaney roundabout. This is the final event in the Leinster League. Planner Sheamus O Boyle (From his desk in Edinburgh). Controller Pat Healy. Pre-Entered Adult €7 ; Student/OAP €4 ; Family €15 ; SI Rent €2. Entry On The Day Adult €8 ; Student/OAP €5 ; Family €18 ; SI Rent €2. Start Times 1100 to 1300. Courses close at 1500 sharp. 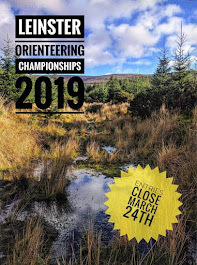 This is the web page for Curragh Naas Orienteering Club. The club is based in and around Kildare and Wicklow. Currently the club is a jam packed family orientated club which has produced some of the current top elites in the country. Every year we host the CNOC Summer Series which are weekly events directed towards families and individuals looking to have some fun in the outdoors on a Tuesday evening.